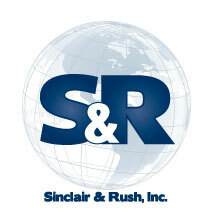 St. Louis, MO – March 2014 –Sinclair & Rush, Ltd., a wholly owned subsidiary of Sinclair & Rush, Inc. has successfully acquired Component Force Ltd., a manufacturer and distributor of product protection solutions. Component Force is based near Rochester, Kent, UK, with a satellite location in St. Louis, MO, USA. The corporate headquarters of Sinclair & Rush, Inc. are located in St. Louis, MO, USA, with its UK operation located in Maidstone, Kent, UK. Component Force offers competitively priced products in relatively small quantities. Their product lines include a wide range of parts and components from protective caps and plugs to more custom products such as hand grips, hinges and hardware. 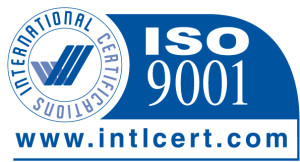 Sinclair & Rush, Inc., a leading global manufacturer in the field of product protection, has over 60 years of manufacturing expertise including design engineering using state of the art software and equipment. A multi-process manufacturer, the Sinclair & Rush family of companies produce protective caps and plugs, innovative hand grips and a variety of styles of clear packaging. Sinclair & Rush serves a wide range of industries in both large and small quantity orders of stock and custom parts. “As part of Sinclair & Rush’s continuing expansion, we welcome Component Force into our family of companies. We believe that their wide-ranging offerings related to product protection and component needs will greatly enhance our product portfolio and ultimately the customer experience”, said Brad Philip, President and COO, Sinclair & Rush, Inc.
“United by a common business culture, the new alliance combines the financial, global, technological and manufacturing strength of Sinclair & Rush with the procurement, sales and distribution prowess of Component Force”, added Philip.